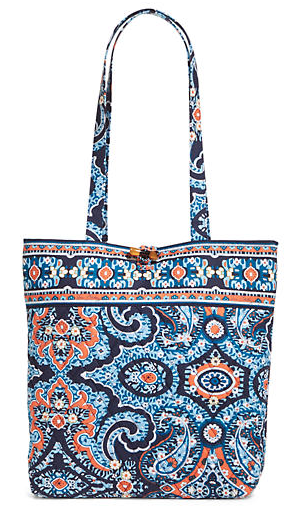 Free Cooler Tote (reg $60) with any $125 or more purchase, now through Sunday, March 22. 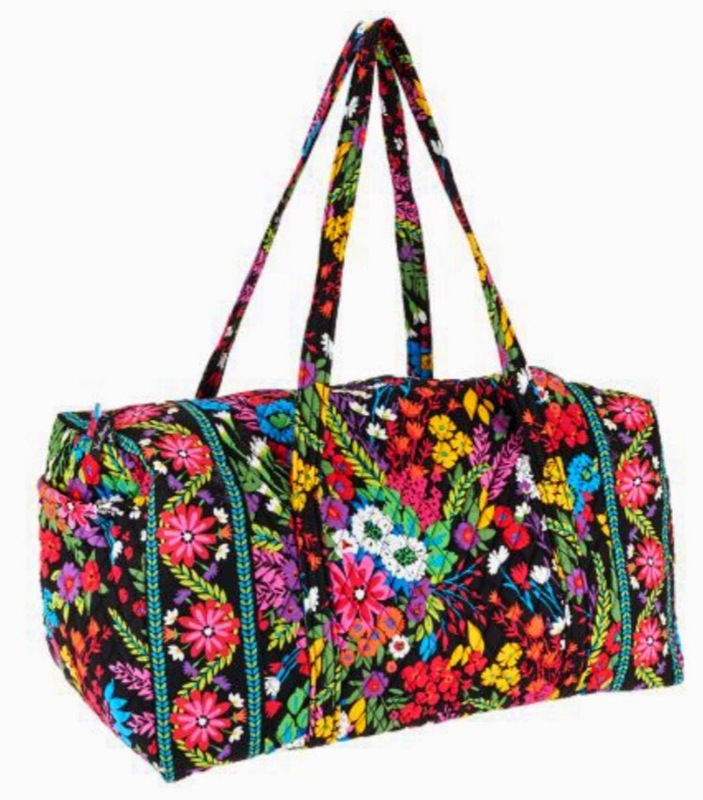 You can take advantage of this deal online or in Vera Bradley stores. 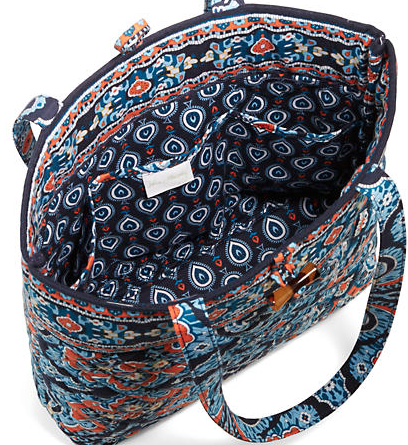 Vera Bradley is going to close its plant in New Haven on May 9th (or sooner) and lay off 250 employees. 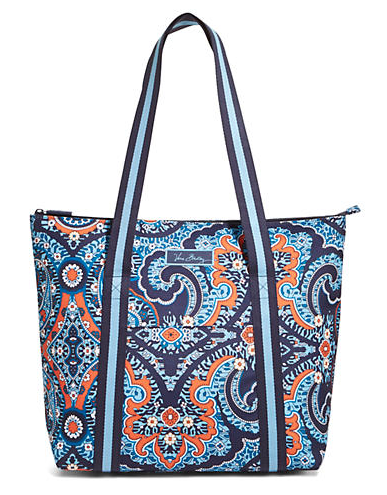 Vera Bradley's Summer 2015 colors come out on March 19th! 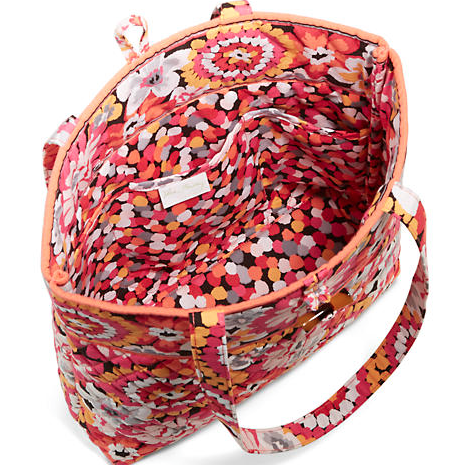 There will be two beautiful new colors: Marrakesh and Pixie Blooms. 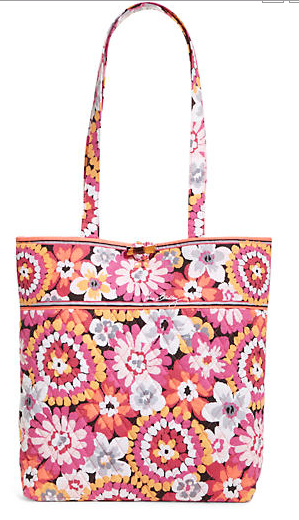 There is also a new faux leather in Coral! 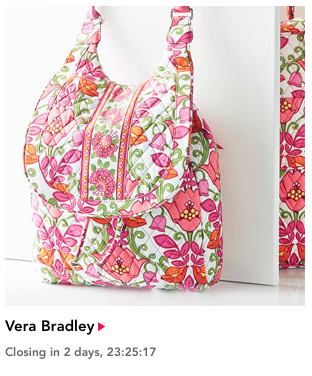 You can check out these items on Vera Bradley's website, but they won't be available for purchase until March 19th. 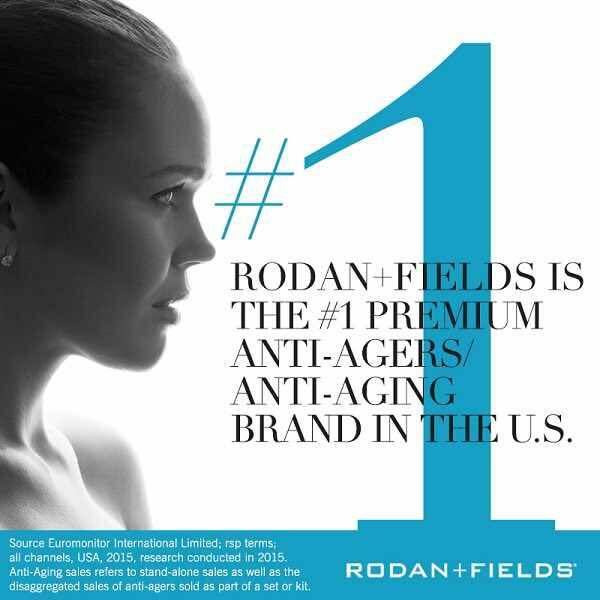 I'm not sure why they are using Loves Me as the photo, I certainly hope the colors are more current than that! We shall see!